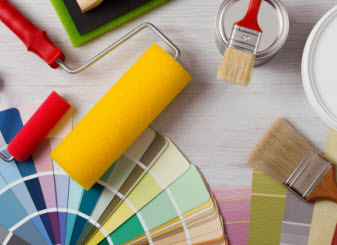 New York Painting Services is proudly servicing commercial businesses and residential homes across the Greater New York area, and has been so doing since 2004. Providing the most highly-rated contractor services has been a pleasure as we continue to grow. We are fully licensed and insured and all of our valued team members have advanced training, years of expertise, and utilize the exclusive professional grade equipment, tools, and products in all of work. In additional to executing premium results with all of our services, we passionately deliver friendly customer service and extend our high moral standards to everyone we come into contact with. Included in our vast menu is a wallpaper stripping and removal service. One it comes time to replace the old wallpaper with either a new fresh style of wallpaper, wall coverings, or simply wanting the wall painted one step must never be neglected; and that is removing the old wallpaper. Leaving it place can make the new surface look choppy, ill-textured, and much of the wallpaper’s print could still leak through. That’s why removing the wallpaper and the wallpaper glue is extremely important, otherwise you will have a low quality wall covering, wallpapered, or painted surface. New York Painting Services understands the importance of this procedure, and with our meticulous nature, the wallpaper will be efficiently stripped and removed. Commercial businesses looking to modernize their image may opt to re-wallpaper, install new wall coverings, or even paint the building with the latest colors and trends, but one things is for sure, in so giving your business in the Greater New York area, you need to first have the leading experts in the field, professionally remove the old wallpaper. With wallpaper, you can never tell how the removal process will be. It could come off smoothly and quickly, or it might be stubborn and difficult, and potentially cause damage the drywall behind it. Entrusting the professionals from New York Painting Services to take care of the dirty work is highly beneficial in a multitude of ways. Residential homes in need of a makeover can greatly appreciate the wallpaper stripping and removal service from New York Painting Services. Dingy, peeling, and outdated wallpaper needs an upgrade every so often. But before the new wallpaper, wall covering, or paint is adorned on your walls, it is important we thoroughly remove the old wallpaper, without inflicting any damage to the drywall surface. Wallpaper can prove difficult to remove even the initially it seems like a snap. Have your New York or New Jersey home’s wallpaper stripped and removed is crucial for the overall new look. Get it done right the first time with New York Painting Services. –	Thorough wallpaper removal. We never take shortcuts in our wallpaper stripping and removal service. 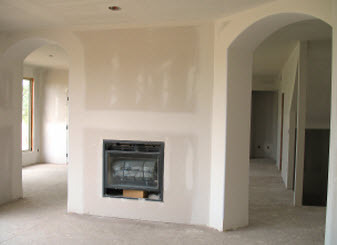 Stubborn glue and paper is not a problem with New York Painting Services professionals. –	Expertise. There are quite a few different kinds of wallpaper on the market, and some require specific techniques to remove. 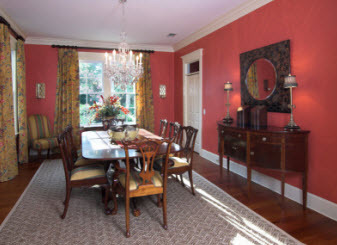 New York Painting Services crew members are all well versed in the varying types of wallpaper and how to remove them. –	Careful not to damage drywall. With age and/or stubbornness of wallpaper, it can cause damage to the drywall if not removed carefully. New York Painting Services specialists has the proper tools and methods for removing both old and stubborn wallpaper. –	Savings. Hiring New York Painting Services saves you both time and money, as well as saving the hassle of prepping, cleanup, and many hours spent stripping and removing wallpaper. If your home or business in the Greater New York area is in need of a professional’s hand in removing the old wallpaper, New York Painting Services has you covered. Our talented staff can properly and quickly remove your old wallpaper, and put up fresh wallpaper, wall coverings, or paint to enhance your business or home’s overall esthetics. Call us today to get started!